Click here to go to the listing creation section. 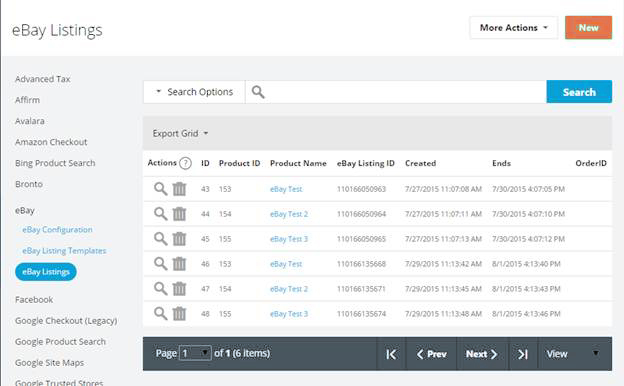 In the new 2015.4 builds, store owners have the ability to list and sell their products on eBay. For using the integration, you will need to first authorize the app. Navigate to Tools > Apps & Addons > eBay. If the app has not been authorized yet, there will be an "Authorize Now" button. 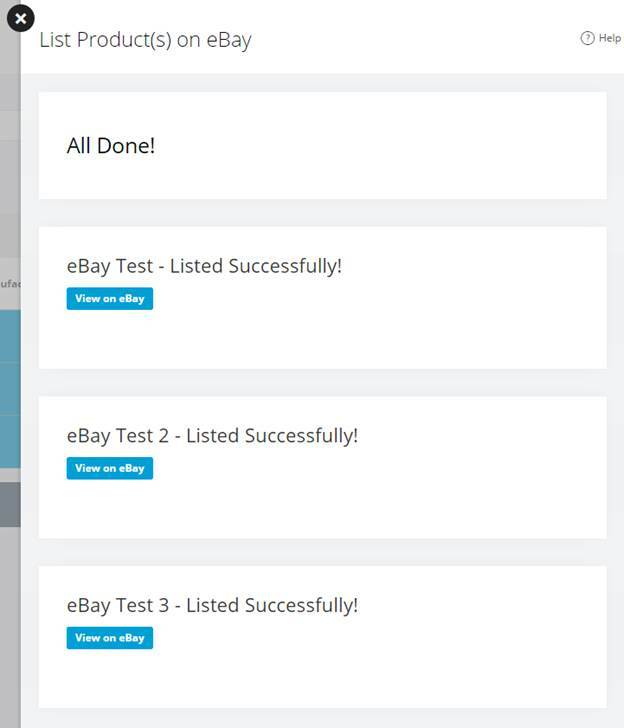 This will take you to eBay to login and approve the app. 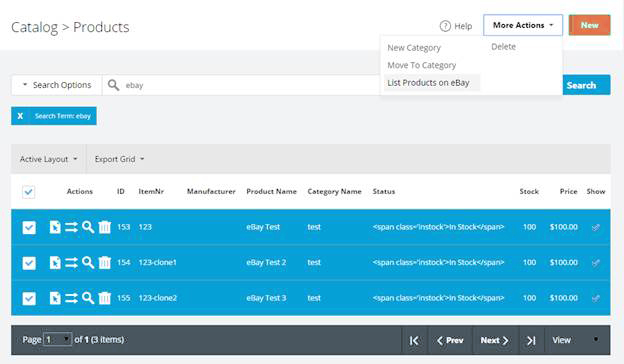 After authorizing the connection, you will now be able to sell your products on eBay. 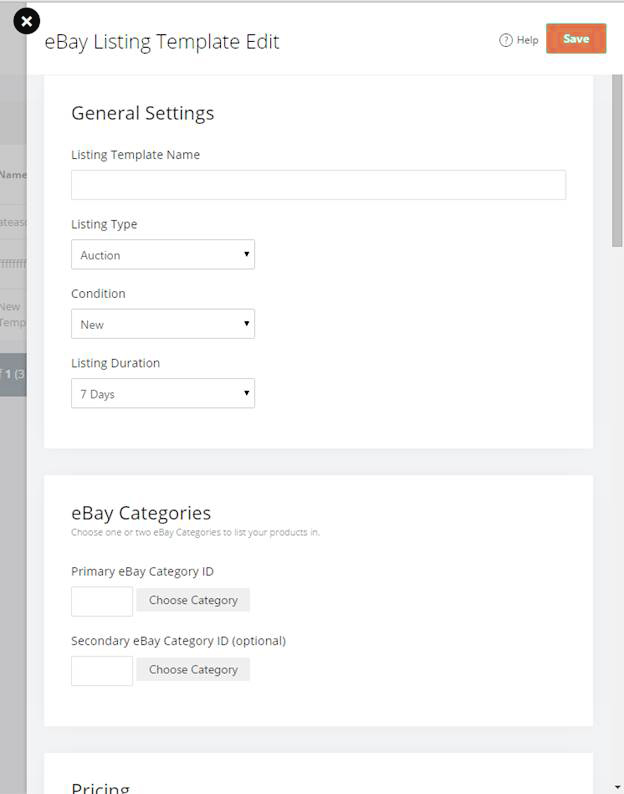 To begin setting up products for eBay, go to Tools > Apps & Addons > eBay > eBay Listing Templates. Click New to add a new product. For Auction type listings, the starting price can be set as well as a Buy it Now price. 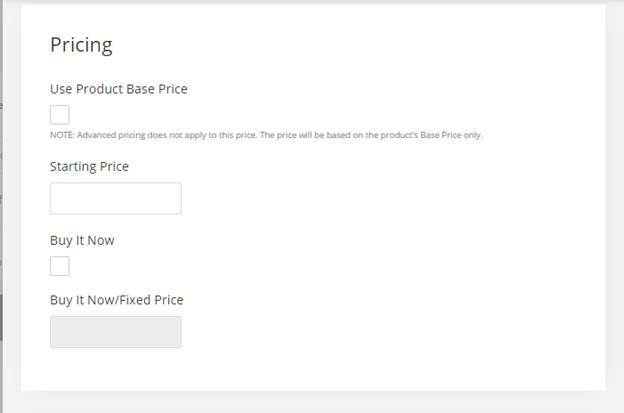 When using the product price, the price can be adjusted up/down via the +/- Dollars or +/- Percentage. 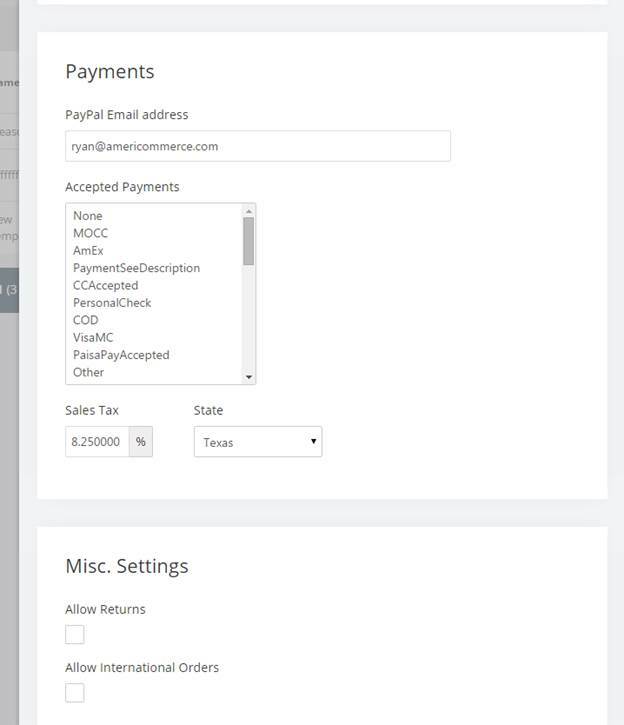 Payment Types must be chosen that the store will accept, also predefined by eBay. Sales Tax - a single sales tax rate may be defined for a single state. It will be prefilled with the store's sales tax for the default tax region. 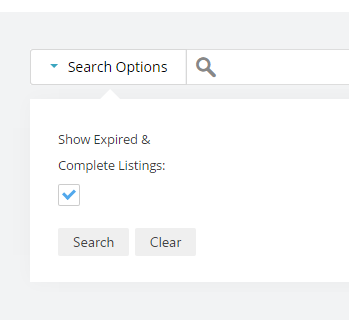 Clicking the button will pull up a wizard to guide through the listing process. 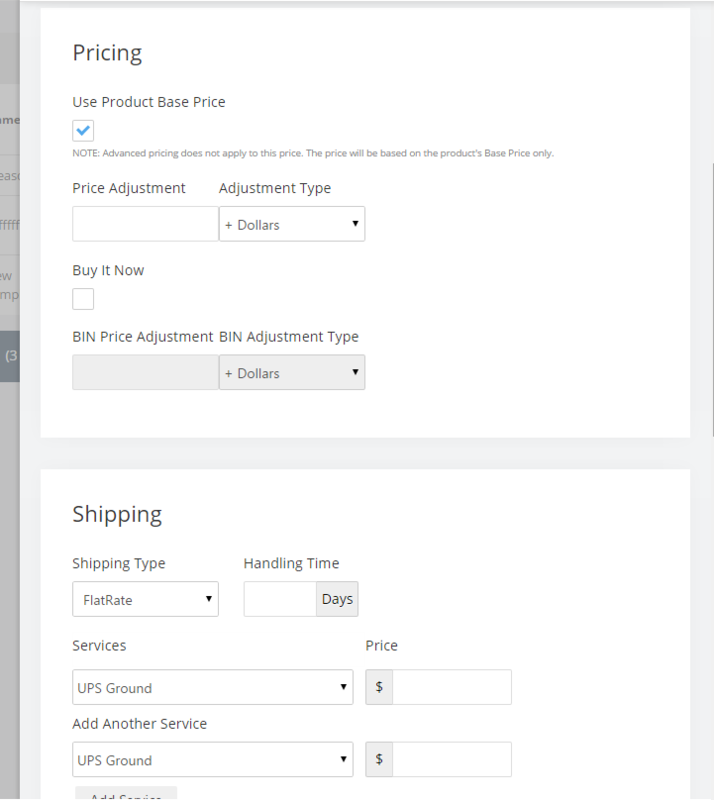 Step one is to choose a template and store for orders to sync back into. 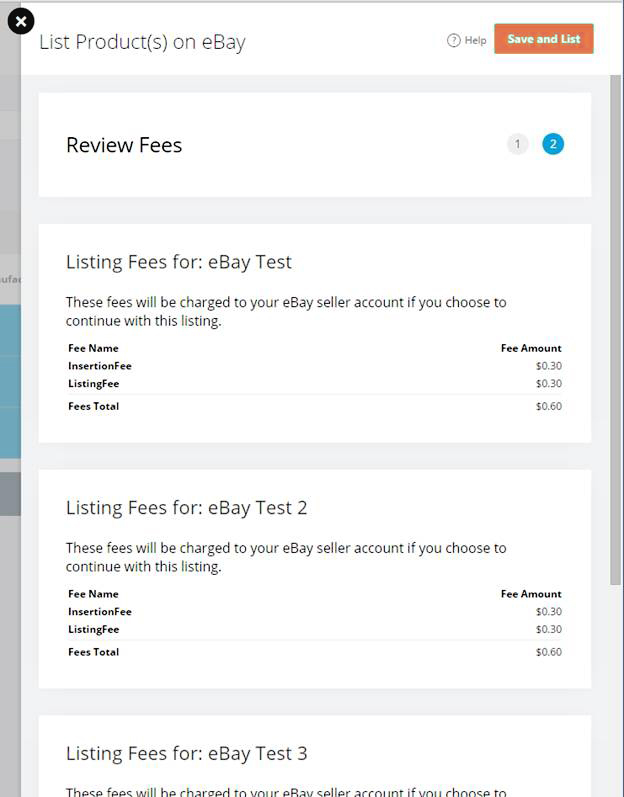 Step 2 will show you the fees that will be charged to the eBay account. If there are any issues with the listing the errors will be shown inline and no fees will be shown. 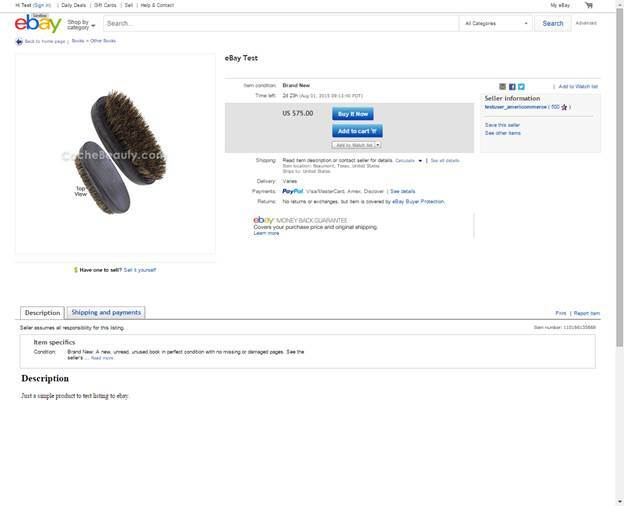 The Product Name and description determine the listing title on the product description tab. 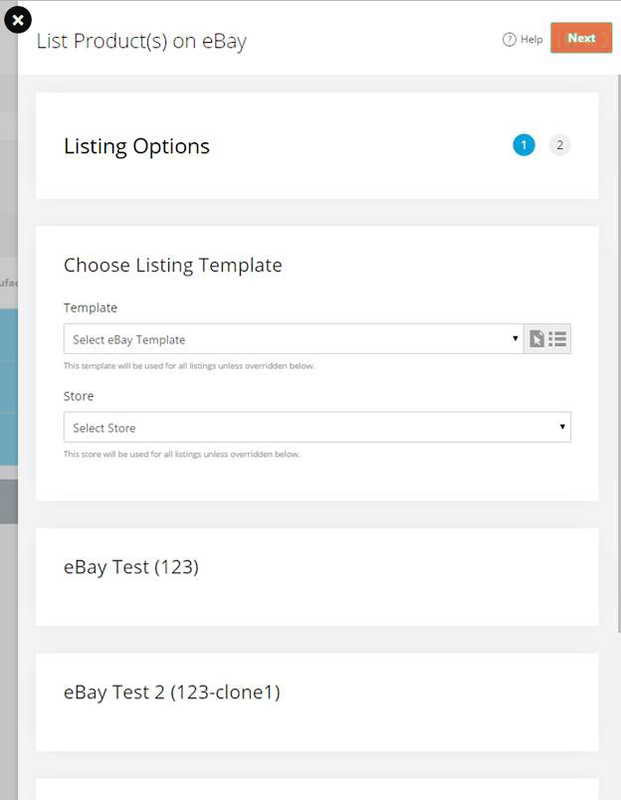 Active listings will show in Tools > Apps & Addons > eBay > eBay Listings. 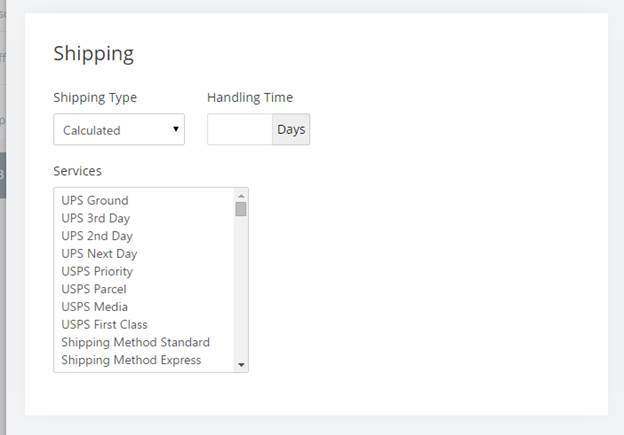 Once an order is placed on eBay it will be synced back to the store for fulfillment. 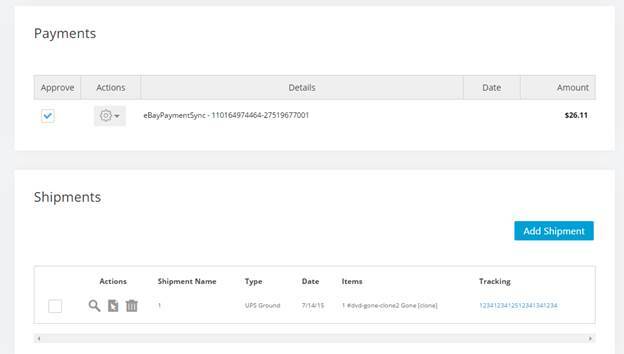 The Order ID will be shown on the eBay Listing and can be edited from here (as well as the normal order List). When the store adds a tracking number and marks the order as shipped, the tracking syncs back to eBay and the eBay order is marked as shipped.